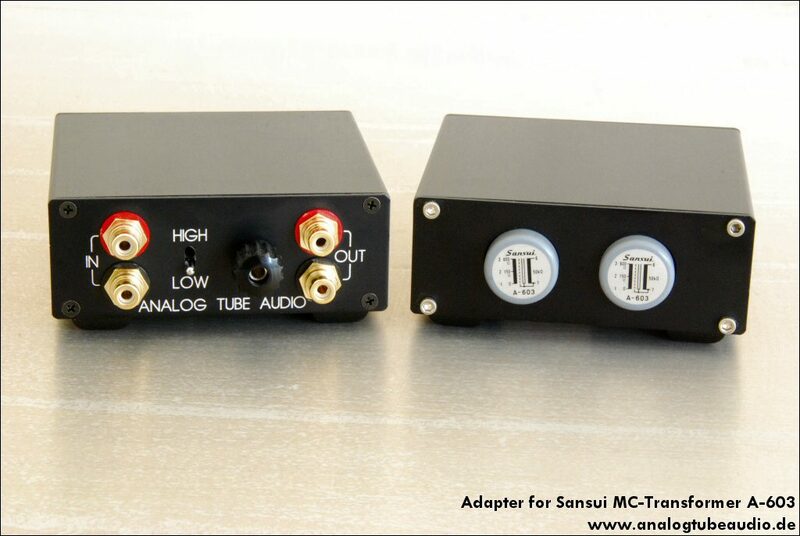 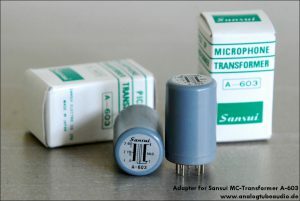 On customers request an made these adapters for the vintage Sansui transformers A-603. 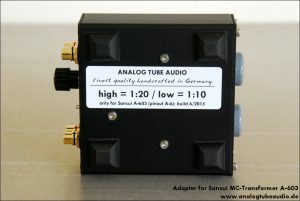 The stepup ratio can switched between high (1:20) and low (1:10). 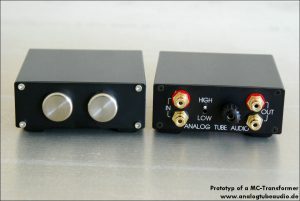 The inscriptions are engraved. 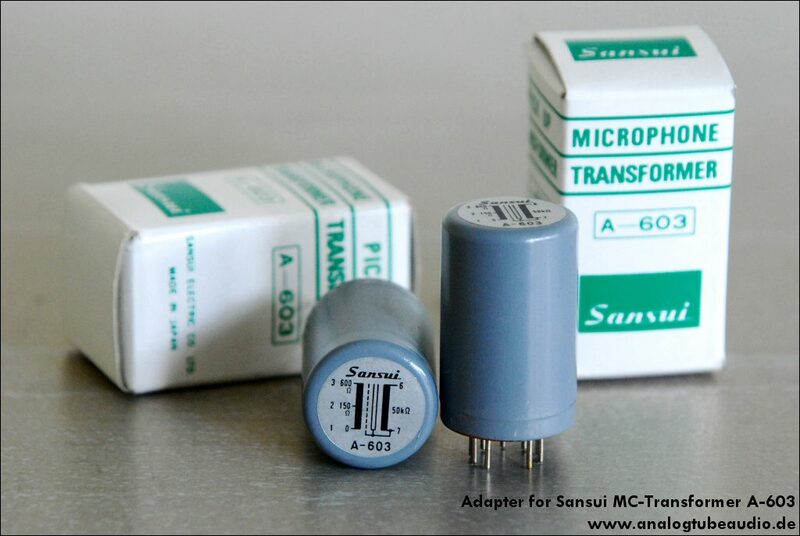 I made a second one of these adapter with similar transformers with a step up ratio of 1:15 and 1:30 (switchable).